In a medium saucepot set over medium heat, heat olive oil, add garlic, ginger, and red onion, and saute until translucent. Add tomatoes, breaking them up with a wooden spoon. Add vinegar, honey, brown sugar, ginger, cloves, cinnamon, and star anise. 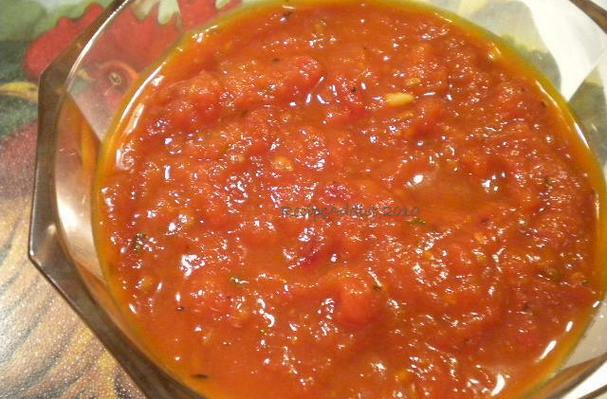 Simmer, stirring occasionally, until tomatoes have dissolved and liquid has evaporated, 60 to 75 minutes. Discard cinnamon sticks and star anise before serving. This jam may be stored in an airtight container in the refigerator for up to 2 weeks. What would you use a tomato jam for? Please check my blog for my favorite useage. It can be a topping on anything; sandwiches, stuffed peppers, stuffed cabbage, eggs, even on buttered toast in the morning. It has unlimited possibilities and is up to your own imagination. This is a fabulous jam that has so many uses.